On the last quarterly conference, WWE CEO Vince McMahon said being PG opens doors for the company that otherwise would not be available. Wednesday, the company announced a partnership with Warner Bros. to co-produce a Scooby-Doo cartoon movie. The animated movie will be a straight-to-video release scheduled for 2014, with Warner handling worldwide distribution. 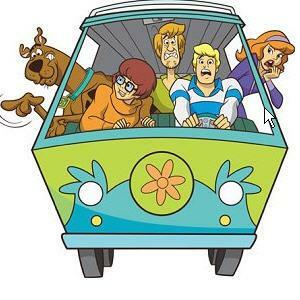 The theme of the movie is the Scooby-Doo crew traveling to WrestleMania to solve a mystery. Depending on when in 2014 the movie is released, promotion could tie-in with the landmark WrestleMania 30 PPV. WWE stars who WWE is depending on to still be part of the roster in 2014 will lend their voice to the movie and appear in animated form. The list includes Triple H, John Cena, Kane, The Miz, Brodus Clay, Santino Marella, Sin Cara, and current Raw GM A.J. Lee. WWE CEO Vince McMahon will also lend his voice and appear in animated form. WWE Studios head Michael Luisi stressed the movie being part of WWE's strategy to reach the kids and family audience that makes up a significant portion of the audience. WWE detailed the plot in a press release released Wednesday morning: "When Shaggy and Scooby win tickets to WrestleMania, the entire gang travels in the Mystery Machine to WWE City to attend the epic event. However, when a mysterious ghostly bear appears and threatens to ruin the show, Scooby, Shaggy, Velma, Daphne, and Fred work with WWE Superstars to solve the case." Link: Full press release at Corporate.WWE.com .